A couple of years ago, a great controversy erupted at my dinner table. My husband and I were dining at our home in Los Angeles with another couple, who – like us – are made up of one American spouse and one Australian. The topic of lamingtons arose, and the Australians were asked to describe our great national treat. "It's a square of sponge or yellow cake" my well-meaning fellow countryman began, "that's coated in chocolate and rolled in coconut. And it has a layer of jam in the middle." "JAM?!?" I cried. "There is no jam! Not in a proper lamington." If you'd asked me beforehand, I never would have guessed I had so much passion on the subject. But apparently I do, which is quite fitting. The lamington has a long history of controversy, the main one being: what is the origin of this most Australian of treats? That question has an answer so complex it prompted Maurice French, emeritus professor of history at the University of Southern Queensland, to write an entire book on the subject. The Lamington Enigma: A survey of the evidence, traces the history of the lamington, its precursors and the personalities who surrounded its emergence, and comes up with the most probable answer to the question of who invented the thing, and why. Much space is given to debunking competing theories of the sweet's origins, of which there are many. 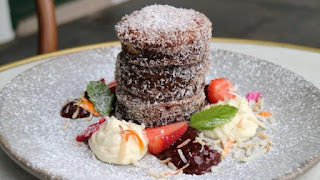 What is known is that the lamington was named for Lord Lamington, who served as Governor of Queensland from 1896 to 1901, or perhaps his wife, Lady Lamington. 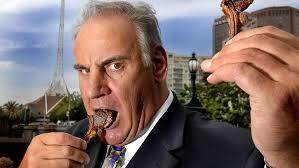 What isn't clear is who was the first to cook the treat and bestow it with the governor's name. 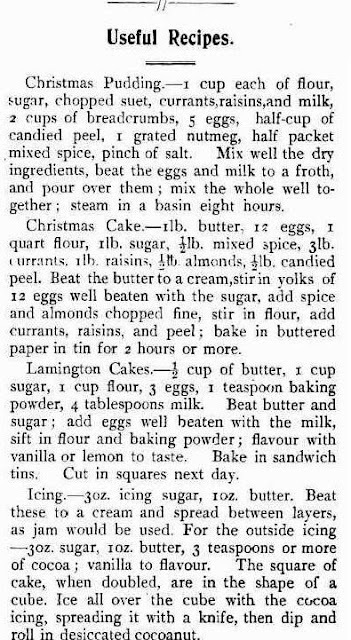 The first known printed recipe for "lamington cake" appeared in the December 17, 1900, issue of Queensland Country Life, along with several other recipes, under the headline "Useful Recipes". How to make Australia's national culinary icon at home - the humble, Aussie Lamington. 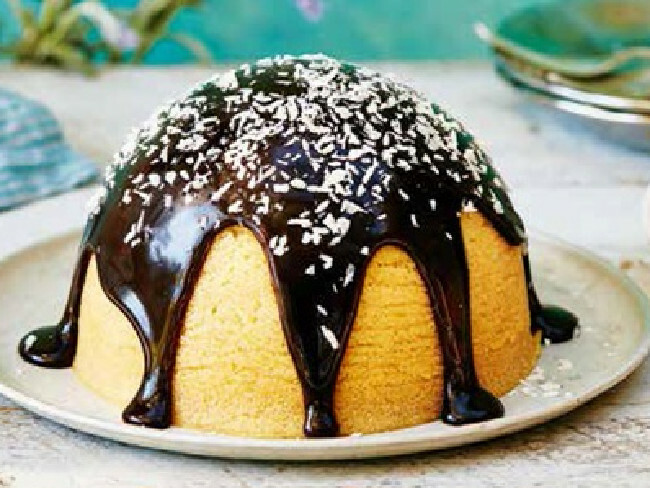 Sixteen Australia Day Lamington recipes which you can whip up for your family. 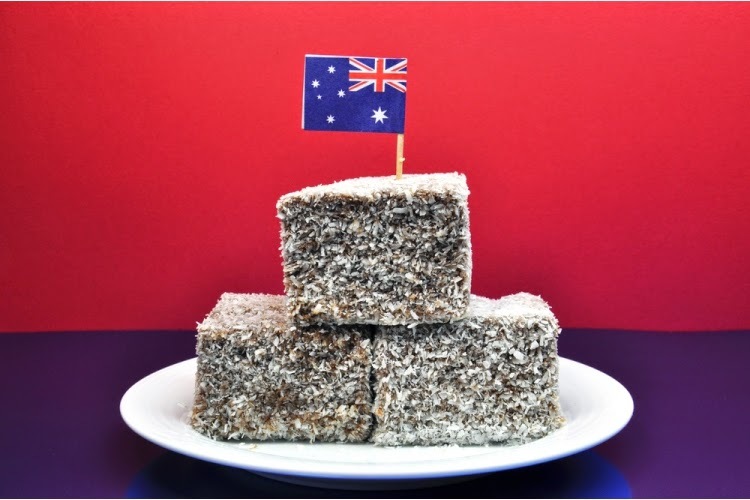 Lamingtons are a classic Aussie sweet treat and perfect for your Australia Day bash. It's important to ensure that your lamingtons are properly made from the finest ingredients and prepared in a consistent way to ensure freshness and appeal. There is nothing worse than a dried out lamington or one that is completely soggy because of poor preparation or lack of attention to detail. Making Australian Lamingtons is a fine art but one that is easily learnt and mastered. 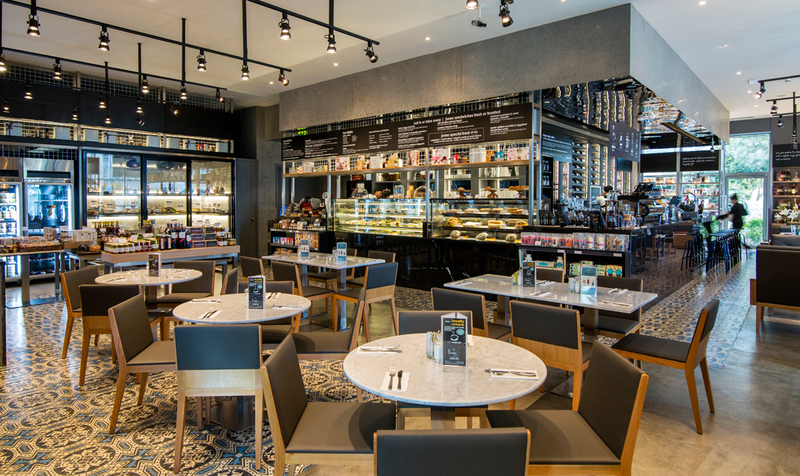 Australia's world travellers will never feel far from home if they drop into Jones the Grocer at the Dusit Thani Resort in downtown Dubai. This small slice of Australia is serving up lamingtons to travel-weary Aussies who hanker for a taste of traditional Aussie fare. A haven of all things beneficial from the land down under. Jones the Grocer aims to tickle the fancy of food enthusiasts with natural ingredients culled from different parts of the globe. Since 1996, the Australian-based café provides customers a gourmet experience that promises innovation to the ever evolving café scene. From tea leaves, to cheeses, to coffee beans, Jones the Grocer welcomes you to a contemporary artisan café 24/7. 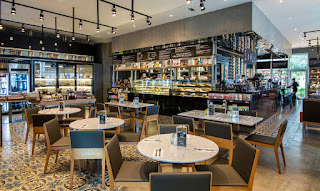 Jones the Grocer, serving true Aussie lamingtons, is located at 133 Sheikh Zayed Road Dubai. Over the years, Australian cuisine has embraced a unique food culture that takes its inspiration from all around the world. The food scene in Australia is unpretentious and a reflection of the relatively young country that is culturally diverse. It is a melting pot of indigenous people and a migrant population and the cuisine is a combination of native ingredients and cooking influences, techniques and tastes from South East Asian, Italian, British and American cuisines, to name a few. With such an enormous appetite for dishes from around the world, Australian diners usually make for adventurous eaters. Referred to as the 'National Cake of Australia', the dessert is thought to be named after Lord Lamington, a former Governor of Queensland. Lamington is a square-shaped sweet sponge cake with a jam filling that is dipped in chocolate and coated in coconut. It sometimes comes in two halves with a layer of either cream or jam in the middle. The cake is perfectly paired with coffee and is a popular evening snack. Try it at Jones The Grocer - Dusit Thani Dubai, Trade Centre Area, 04 3174457. Australia's national culinary icon has become even easier to make thanks to Thermomix. 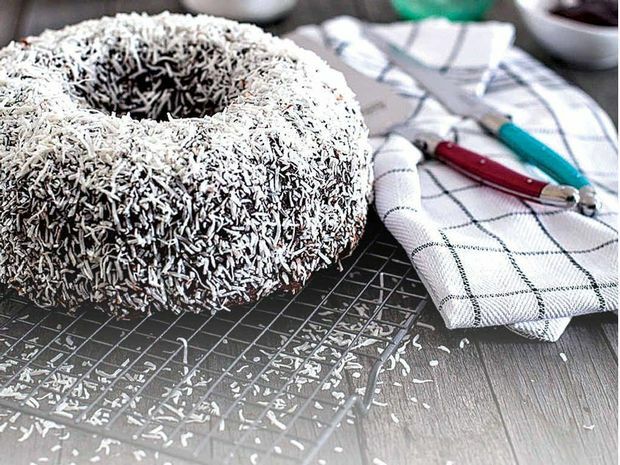 Making gluten-free lamingtons in a Thermomix is a breeze, bringing this unique taste sensation into more homes than ever before. Maybe a bit hard to make this lamington in a Thermomix! 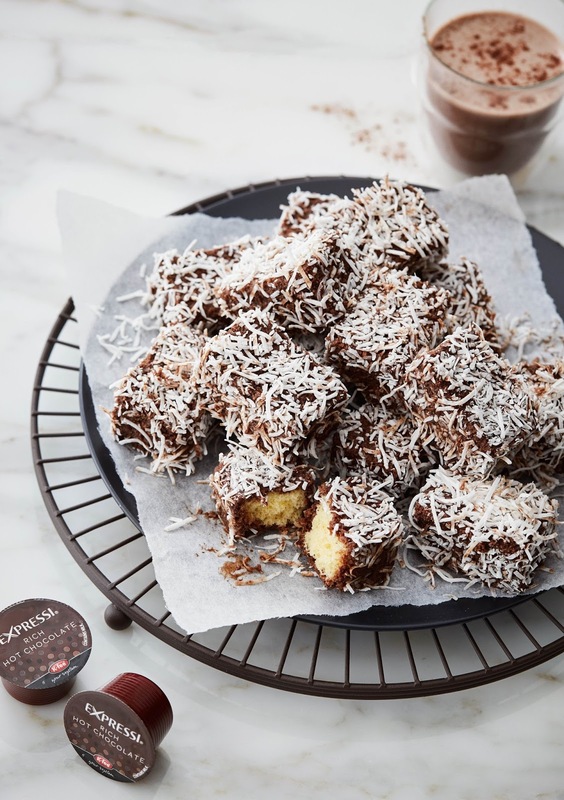 New Zealanders - who once claimed the humble Aussie lamington as their own - have expressed genuine concerns that the gastronomic gift from Australia - is proving difficult to buy across the length and breadth of the North and South Islands. In Australia, interest has waned a little in the century old culinary tradition made famous by Lord Lamington, Governor of Queensland from 1896 to 1901. But fundraisers, fetes and lamington devotees are keeping this wonderful creation alive throughout Australia. Stuff.co.nz reports: It's a sad day when the birthplace of the lamington ditches it. 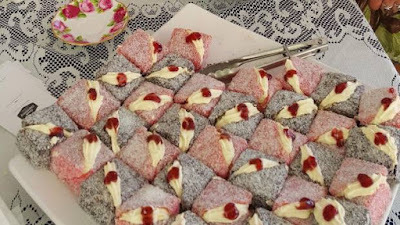 Although the birthplace of the lamington may be debatable to Kiwis, in Australia it is reported to be Old Government House in Brisbane, and yesterday we heard that the café there has taken lamingtons off the menu – for the first time in 117 years. 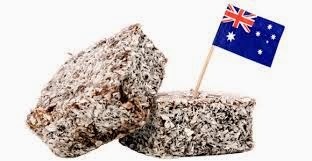 Australians believe the lamington was first made in 1900 for the wife of Queenland's eighth governor, Lady May Lamington. There is a little debate as to who made it – it could have been a renowned French pastry chef of the day or well-known Brisbane cookery teacher Amy Schauer, who was regarded as "the Nigella Lawson" of her time. Today I want to de-bunk some myths about the lamington, because persisting myths are ruining a perfectly good mystery. 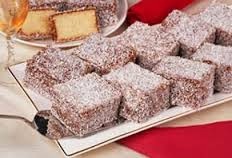 What is certain that “a subscriber” had a recipe for lamingtons published in The Queenslander newspaper on this date in 1902, and that this is the earliest known published recipe for our national cake. What is not certain is how the name originated. 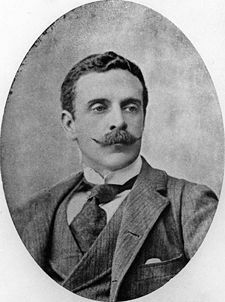 Fakelore says that it was named after Baron Lamington, governor of Queensland from 1896-1901. Just when you thought New Zealand might have retreated from its time-honoured claims of one-upmanship against her continental cousin across The Ditch, one outrageous assertion has been well and truly debunked. 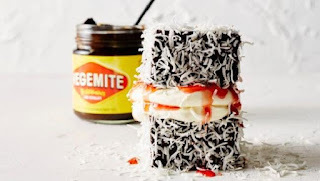 Although New Zealand may be able to lay claim to fame for the invention of the Pavlova, its unilateral declaration of having invented the humble Aussie lamington has been left floundering - even worse than the New Zealand cricket team on its best day! When this bizarre gastronomic claim arose, blood boiled across all Australian communities, tempers flared relentlessly and every decent Kiwi tried to put on their best Australian accent to avoid ridicule and scorn flowing from almost every corner of every true-blue pub and club across the nation. of Auckland researchers say shows a 'Wellington' cake (circled). 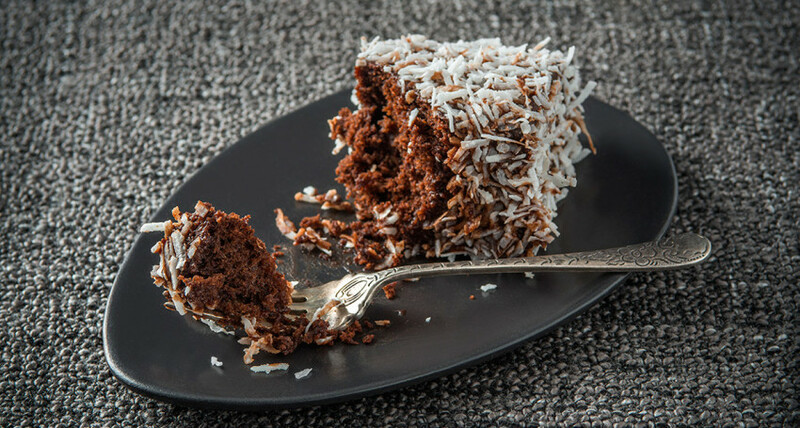 The Lamington, Australia’s famed dessert, was actually invented in New Zealand and originally named a “Wellington”, according to new research published by the University of Auckland. 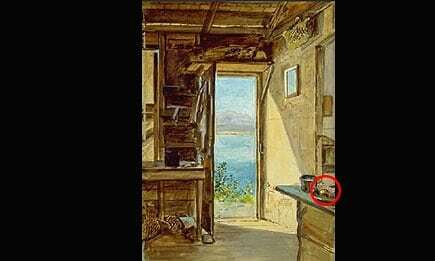 Fresh analysis of a collection of 19th-century watercolours by the New Zealand landscape artist JR Smythe, shows that in one portrait, “Summer Pantry” dated 1888, a partially eaten Lamington cake is clearly visible on the counter of a cottage overlooking Wellington Harbour. 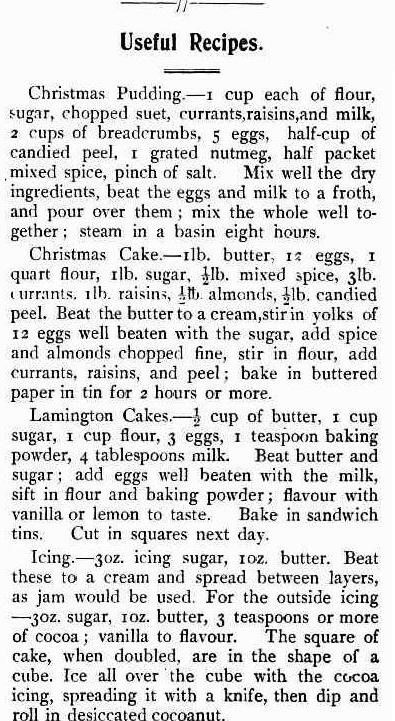 The first known reference to a Lamington before this was a recipe published in 1902 in the Queensland Country Life newspaper. Historians had believed the Lamington was named after Lord Lamington who served as governor of Queensland between 1896-1901. 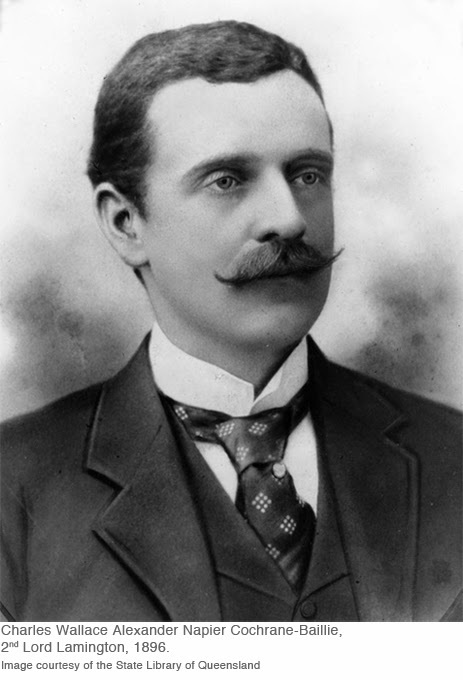 But experts at the University of Auckland have examined archives which show records of a visit Lamington undertook to Wellington in 1895, before beginning in his tenure as Queensland governor. Dr Arun Silva of the centre for academic knowledge, excellence and study at the University of Auckland, said the news clipping and Smythe watercolour made it “inconceivable” that the Lamington was an Australian invention. “What we have here is conclusive evidence that the Lamington cake was in fact a product of New Zealand. The documentation of Lamington’s visit and the pictorial evidence in the watercolour prove it without a doubt. “I wouldn’t exactly say it was a rewriting of history, more a realisation that our culinary past is much more entangled than we’d previously believed,” Silva said. Silva, an expert in food history, said the dramatic discovery was likely to blow debate around whether it was Australia or New Zealand who invented the Pavlova “out of the sky”. 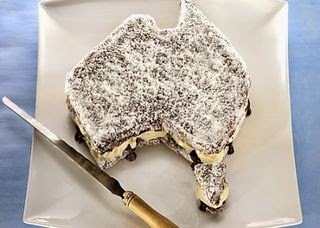 This was too much for all true-blue Australian Lamington connoisseurs who rallied across the nation to debunk what appeared to be a spirited defence of New Zealand's only claim to fame since the First Fleet arrived in Sydney Cove in 1788. But the Kiwis' burst of attempted stardom on the world gastronomic stage proved to be very short-lived when the name of the author of this outrageous article published on April 1, Olaf Priol, was closely examined. "Olaf Priol" is an anagram of the words "April Fool". Yes, our New Zealand cousins - and the Guardian Newspaper which had nearly committed Australia to World War III - had been outed. Australia's honour had been restored. The Kiwis ashamedly slunk off to eat their Pavlovas in the deserted cafes and restaurants of the Shaky Isles with national humiliation pervading their every waking moment. And this early taste for fake news made later claims of fake news by Donald Trump look like a recycled diatribe! Did Lord Lamington really dislike his own namesake? "those bloody poofy woolly biscuits"? 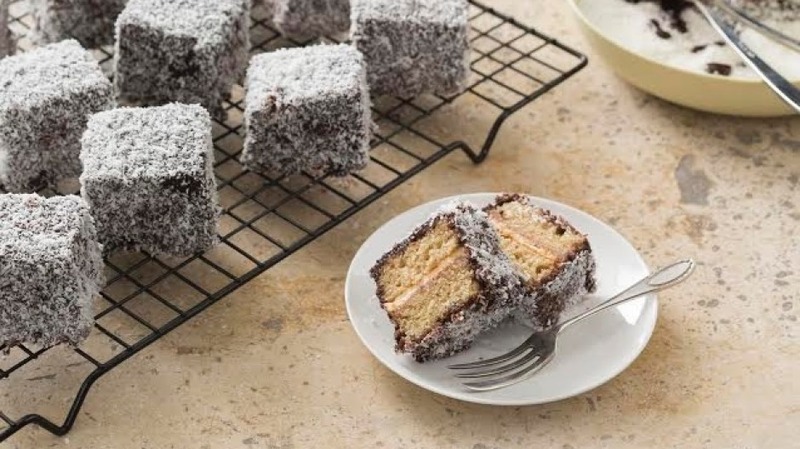 The origin of the lamington, the "patron cake of Australia", is shrouded in mystery. The chocolate and coconut-coated cakes are thought to be named after Lord Lamington (aka Charles Cochrane-Baillie, pictured), governor of Queensland from 1896 to 1901. Legend holds the lamington was invented when a clumsy maid (or Lady Lamington herself) dropped a sponge cake into melted chocolate, then served it anyway - with a sprinkling of coconut to avoid sticky fingers. The first known "lamington cakes" recipe appeared in Queensland Country Life in 1900, and the iconic treat quickly spread. The birthplace of the lamington has taken the iconic Australian cake off of the menu – 117 years after it was created. Brisbane's Old Government House removed the chocolate and coconut covered sponge from the building's restaurant, The Pantry, six weeks ago because they were not selling, according to The Brisbane Times. The sweet is believed to have been crafted in the house's kitchen in 1900 for Lady May Lamington, the wife of Lord Charles Wallace Lamington, Queensland's eight governor. It is unknown who exactly created the small square cakes, but it is assumed the couple's chef French patisserie chef, Armand Galland, or cookery teacher Amy Schauer, constructed the lamington. 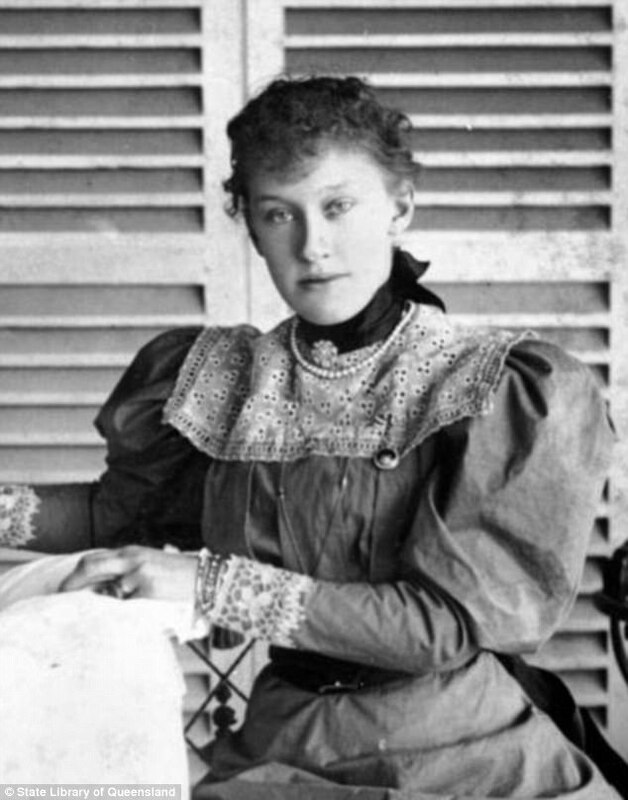 Ms Galland became friends with Lady Lamington while she lived in the house from 1896 to 1901. 'They just weren't selling,' Sarah Barnes, manager of Old Government House's restaurant told the publication. 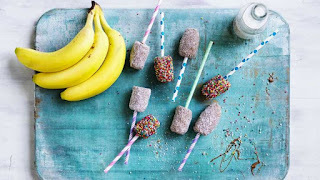 Lamington recipe: How to make lamington bananas - new use for an old delight! Lamington bananas - a great treat! 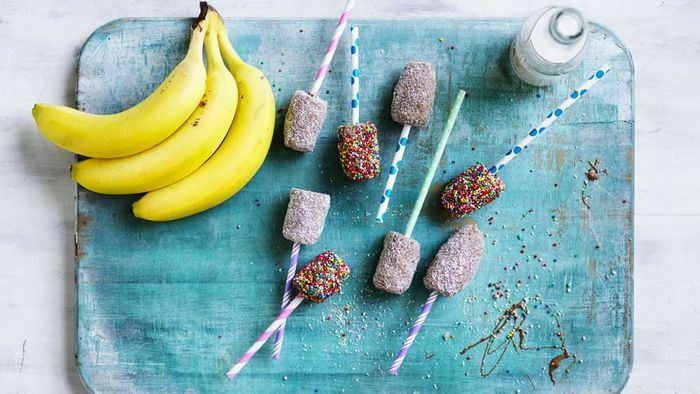 The lamington craze never stops and now you can have your very own lamington bananas. This would have to be the easiest recipe ever. The Brisbane Times reports: The lamington was first created in Brisbane, most likely for Lady May Lamington and has been continually available at their "home", Old Government House, for 117 years. Historians are shocked it has been taken off the menu because people stopped buying them. For the first time in 117 years, lamingtons are off the menu at Old Government House in Brisbane, the home of the lamington. The lamington cake was first made in 1900, most likely for the wife of Queensland’s eighth governor, Lady May Lamington. 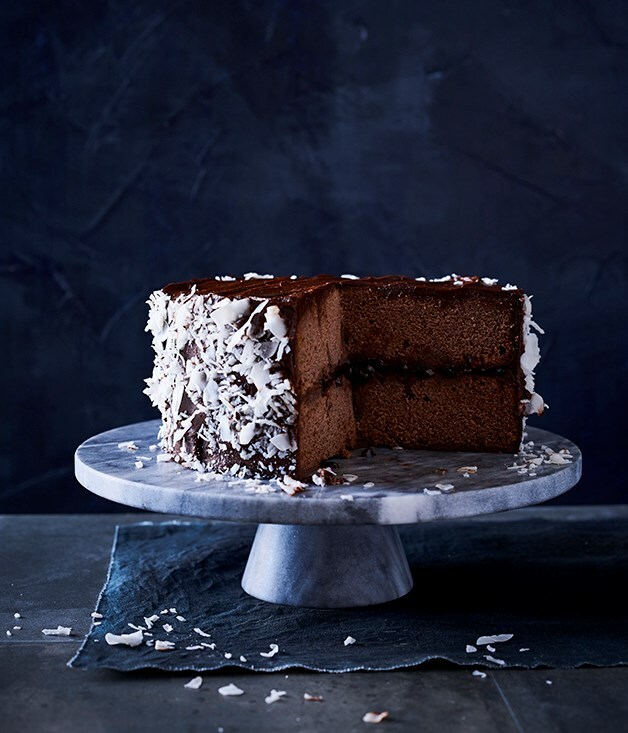 The lamington was made by either the Lamingtons' well-credentialled French patisserie chef, Armand Galland, or the well-known Brisbane cookery teacher Amy Schauer, regarded as “the Nigella Lawson of her time”. The lamington has been available ever since at Old Government House, in the grounds of Queensland University of Technology, either at the house, or at the restaurant and café. That is, until six weeks ago. “They just weren’t selling,” Sarah Barnes, manager of Old Government House’s restaurant, The Pantry, confirmed last week. “We now have cakes and a range of other things in the cabinet, as opposed to just sponge. And a 117-year link in Australian history is broken. Old Government House curator Katie McConnel learned of “the sad story” after being contacted by Fairfax Media. “It is very sad the café no longer sells the lamington,” Dr McConnel. Both parties have now agreed to discuss the legend of the lamington in the new year to see if it can be returned to the plate. 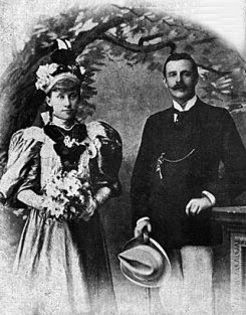 Lord Charles Wallace Lamington and Lady May Lamington lived in Old Government House from April 1896 to June 1901. Lady Lamington was the patron of the nearby Brisbane Technical College, 100 metres from the house, where cookery teacher Ms Schauer taught from 1895 to 1937. The two women became friends. 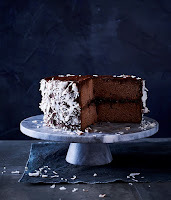 It was suggested the lamington cake – originally a “full-on” rich butter cake – was first created either in one of Ms Schauer’s cooking classes, or by chef Monsieur Galland working 100 metres away in the kitchen of Old Government House, Dr McConnel said. It is likely Monsieur Galland created the small cakes from larger cakes to cater for up to 1500 people who might attend a ball at Old Government House hosted by Lord and Lady Lamington. Monsieur Galland was hired by the Lamingtons in Paris as they returned to Brisbane from holidays in Scotland to ready Queensland for a royal tour in 1900. “They bring him out as their chef du jour, their main chef to do all the big events and he had a real cake and patisserie background,” Dr McConnel said. 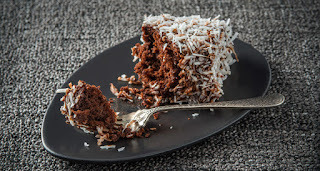 Dr McConnel scoffed at the popular folklore that Lord Lamington, the Scot, demanded a dropped sponge cake be dipped in chocolate and covered with dessicated coconut (to prevent the fingers get covered with the chocolate) to prevent it going to waste. “Nobody ate with their fingers in those days,” Dr McConnel said. “And besides, he would not have been anywhere near the kitchen; never, and there is just no way in the world stale cake would have been served." The lamington recipe was first published was in the Queensland Country Life on December 17, 1900. “People really liked it and asked for the recipe,” Dr McConnel said. 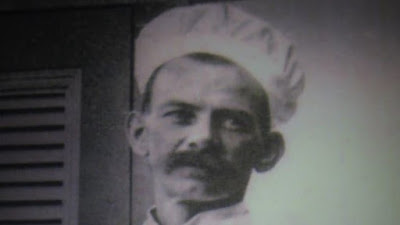 “I strongly support the idea that Armand Galland, the French chef here from May 1900 to May 1901, would have created the cake and it would have been named in honour of his patron, Lady Lamington." Dr McConnel dismissed New Zealand’s claim to the lamington as an April Fools’ joke linked to Monsieur Galland travelling with the Duke and Duchess of Cornwall and York to New Zealand from Brisbane in 1901. “I really think with people asking Lady Lamington for the recipe, he names it after her because, like the pavlova (Dame Anna Pavlova), and the Peach Melba (Dame Nellie Melba), it was a way of acknowledging and thanking his patron, which was generally the lady when it came to the food,” she said. and Lady Lamington in Brisbane and most likely creator of the lamington. Photo: Old Government House, Brisbane. Monsieur Galland returned from the royal tour of New Zealand in 1901 to work as a wine merchant in Melbourne Street, South Brisbane. Dr McConnel has not discounted the possible influence of cooking teacher Mary Schauer on the lamington. “But the connection is still to Lady Lamington, not Lord Lamington," she said. Lamington pikelets take the cake! Bizarre Aussie offering includes Lamington pikelets. How would you like a pizza with Milo, Caramello Koalas and Tim Tams for a special dessert? Or what about a Vegemite and cheese pizza option - a true mix between Aussie and Italian cuisine. It doesn't get better or more Australian than this. Lamingtons are Australia's national culinary icon and Donna Hay's recipe for these traditional morsels will set you on the road to success. Born in Chile to a Belgian father and a half-Indian mother, Ines Scholtes has been influenced by a mixture of cultures. Ultimately though, it’s her Belgian side that dominates her approach to cuisine. 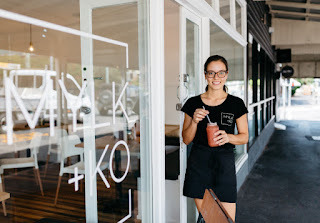 So massive that Scholtes has now foregone a career in law to pursue her passion for food, last week opening Mylk + Ko. Mylk + Ko has evolved from Scholtes’ Instagram, which she started in 2015. Her account was dedicated to the decadent but wholesome sweets she would create, which were often vegan, gluten-free or dairy-free. Shifting into Vespa Pizza’s old premises on Merthyr Road, the wooden floorboards and most of the walls remain intact, but everything else has been refurbished, including expanding the kitchen. Charcoal, wood and white features decorate the space, with a smattering of green breaking up the monochromatic tone. The current menu features an elaborate selection of acai bowls including the “Lamington” and the “Golden Gaytime”, as well as a number of smoothies, super “mylkshakes”, cold-pressed juices and CocoWhip, all made to order. Allpress coffee and Mayde Teas are also on offer. Once these dishes, shakes and juices are perfected, a hot menu will come on stream. Expect dishes such as red-velvet waffles and lemon-meringue pancakes. A New South Wales baker Kirin Tipping has called for National Lamington Day to be an official Australian Public holiday. No one who likes the taste of a fresh Australian lamington should miss out. How to easily make gluten-free lamingtons. Paul Tully and his amazing lamington creation. World's top chef adds lamingtons to his $482-a-head gastronomical spread. Bake your own to celebrate Australia Day and our National icon. The types, varieties and exotic lamington products never cease to amaze. Try something different for Australia Day. Whip up your own creation. 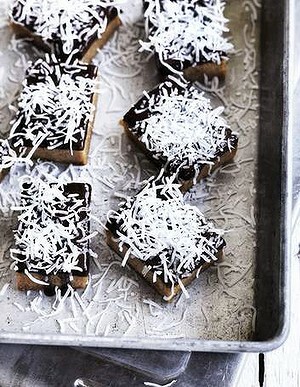 Have you ever tried a Vegemite Lamington or something even more exotic with the humble Aussie Lamington. Everyone loves a lamington, but that doesn't mean you can't tweak the formula a little. These are best prepared the day before serving. 2nd Baron Lamington (1860 - 1940). Ipswich Councillor Paul Tully with a gigantic Australian Lamington. Toowoomba is known as the garden city for its high percentage of beautiful gardens, but there is more to the inland city than petunias and pansies. "A lot of people may not know the iconic Southern Cross windmill calls Toowoomba home," historian Peter Cullen said.